Are you Looking for a special gift ? Stuck for ideas? Then maybe I can help. This listing is for a one of a kind gift box. The boxes can be specifically put together to suit the recipients tastes and interests. The box will include a skein of custom dyed yarn, and gifts . PLEASE NOTE . 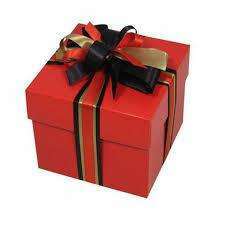 THE GIFT BOX WILL BE DELIVERED IN A BROWN BOX READY FOR YOU TO WRAP IN YOUR CHOICE OF GIFT WRAP . If you would like a special theme or colour way please message me to discuss details.